Who can Cena face at WrestleMania 35? John Cena has successfully transitioned into a part-time WWE Superstar. 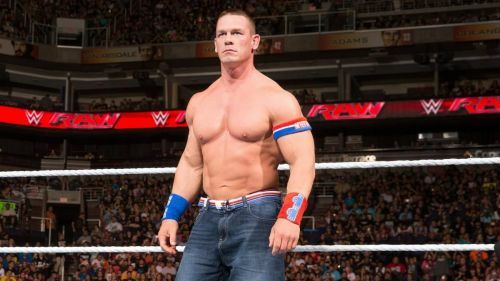 After being the face of WWE for more than a decade he has shifted his focus towards Hollywood projects in the last few years and we can be sure that he will never return as a full-time WWE Superstar. His last major Pay Per View match this year was at WrestleMania 34 against The Undertaker. John Cena might make his much-awaited return to WWE at the Royal Rumble early next year to compete in the Royal Rumble match. He might win the Royal Rumble Match and challenge the WWE or the Universal Champion. He could defeat the champion and become the first ever man to hold 17 World Championships. But there could also be other plans for the leader of the Cenation. WrestleMania is just a few months away and we can expect John Cena to set up a mega match this year at the Show of Shows. So who can potentially face Cena? I have penned down 5 possible opponents for Cena at WrestleMania 35. 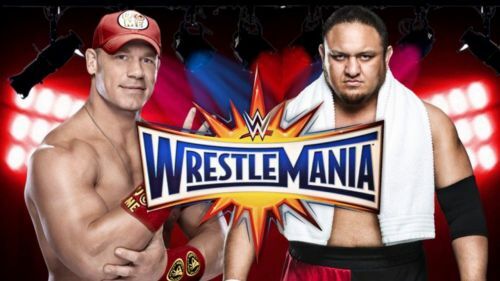 Samoa Joe vs John Cena is a dream match for fans around the world. Both of the Superstars are extremely talented. Some of you might not know this but Cena and Joe started their wrestling careers together in Ultimate Pro Wrestling (UPW). Both of them took different paths in the early stage of their respective careers. John Cena came to WWE at a very young age and successfully became one of the top and greatest Superstars in wrestling history. While at the same time Joe was working on independent wrestling promotions. This could definitely be the plot of the storyline between these two men. Fans would love to see how WWE will book this rivalry. Also, both Cena and Joe have extraordinary promo skills and both guys will definitely kill it on the microphone in the build towards this match. It is also the perfect way to put Joe over. Cena is at the end of his career and he could help a Superstar like Joe to get over.